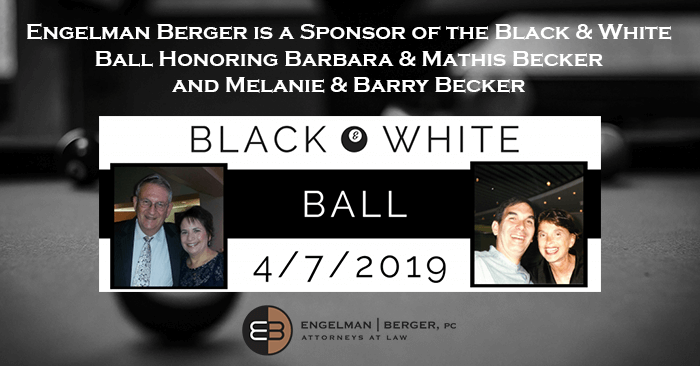 On April 7, 2019, Beth El Congregation is hosting a Black & White Ball honoring Barbara and Mathis Becker, and Melanie and Barry Becker, four longtime Beth El members and supporters. Barbara was recently appointed as president of Beth El, Mathis has displayed strong leadership of the Endowment Committee, Barry is an active participant in the Cemetery Committee, and Melanie has volunteered many hours in the Talmud Torah and Beth El’s preschool. For two generations, the Becker family, including parents, has supported Beth El and the Phoenix community. 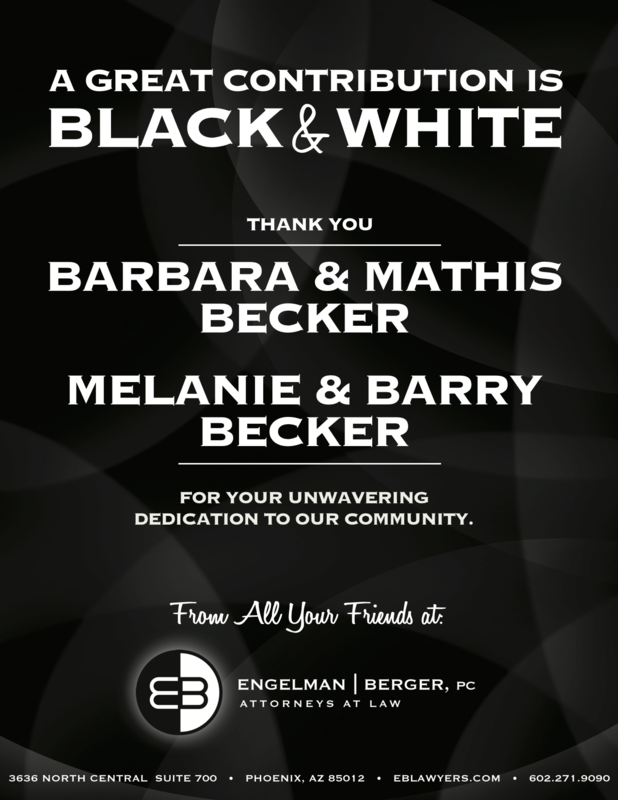 These individuals are especially important to our firm, as they are friends of Engelman Berger co-founder, David Engelman and other members of the firm. The event will be hosted at the Beth El Congregation at 5:30pm and will include a celebratory and fun night filled with cocktails, dinner, dancing, and a silent auction. To commemorate the Becker families that are being honored at the event, a tribute journal, designed by members of Beth El, will be distributed to the attendees of the event. Those who attend the event can then add messages or ads in the journal to support the honorees. For more information about the event or to RSVP, visit this link https://www.bethelphoenix.com/black-white-ball/. Beth El is a synagogue that accepts all who wish to have access to Judaism. Beth El hopes and strives to provide its members with a place to go when they need company, friends, and community; a place to participate in Jewish ritual and programming; and a place where you have a support system of clergy and staff who will cater to your needs as pertaining to your synagogue experience.